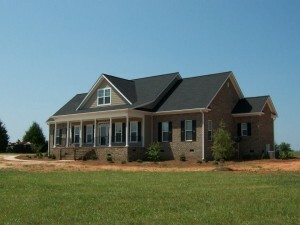 Wolf Construction the premiere builder for new construction in Aiken, SC. Whether you are retiring to Aiken, relocating or are an Aiken resident looking to build your new home, we have the team that can make your dream home a reality. We build Aiken new construction projects that are anything but unoriginal or “cookie-cutter.” With our team, professionalism and resources, we will work together closely with you to ensure that your vision for your home becomes a reality. Our team will work with you to to come up with your one-of-a-kind home. Our design of Aiken new construction home projects, along with our attention to detail, are a couple of the main reasons you’ll love working with our team. We believe in building a long term relationship with our customers. Our neighborhood building sites include Cedar Creek, Three Runs Plantation and Mount Vintage. Each unique new contruction homes include up-to-date features and the newest design trends. When we build Aiken new construction home projects, we make sure to employ construction’s best practices and develop a great reputation of outstanding craftsmanship. Give us a call at 803-649-1711 or send us an email to set up an appointment about your future home.